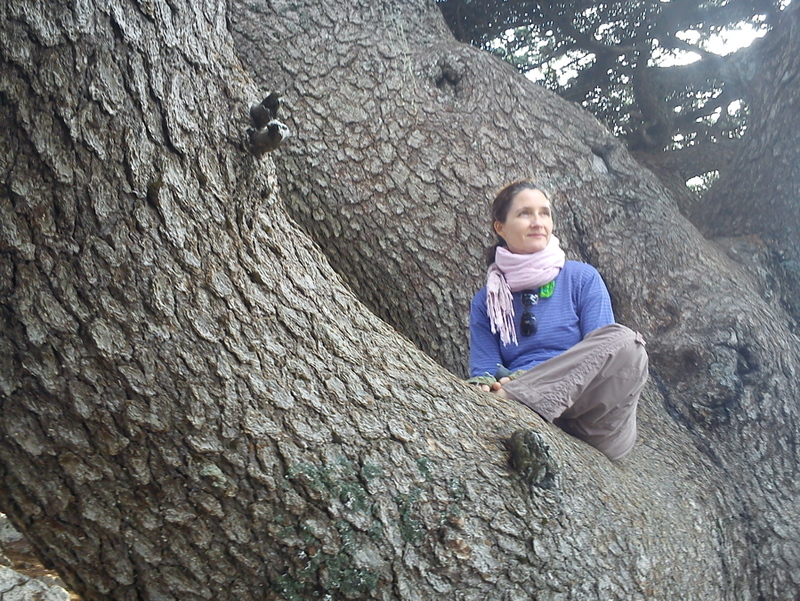 When you live in a flat desert, the main priority for foreign travel is to go up and be amongst trees. 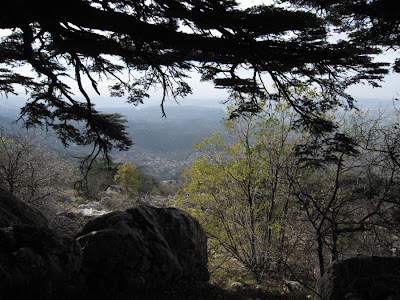 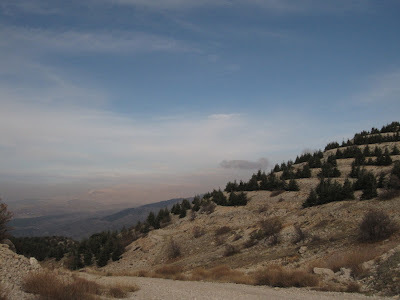 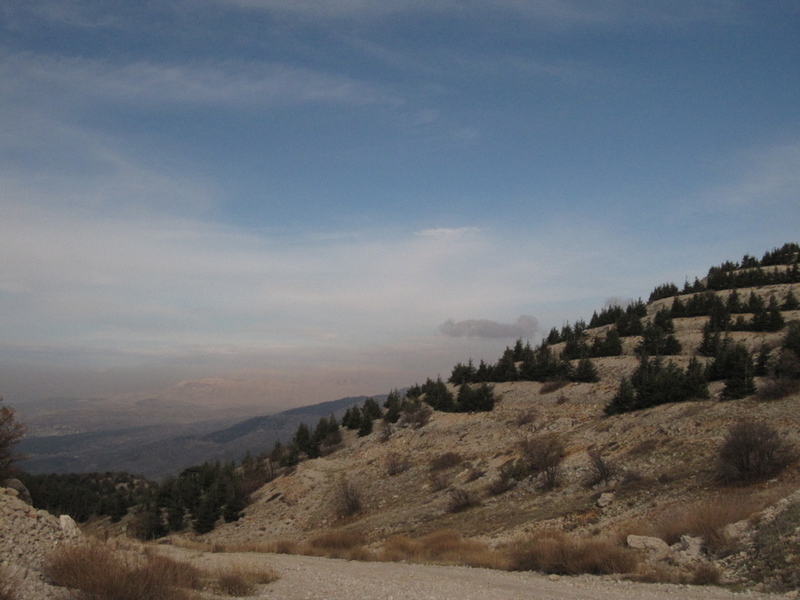 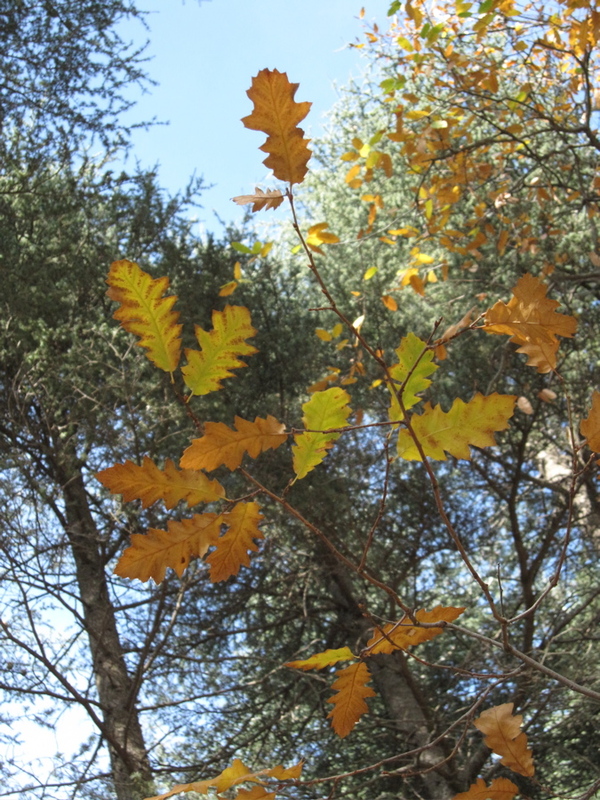 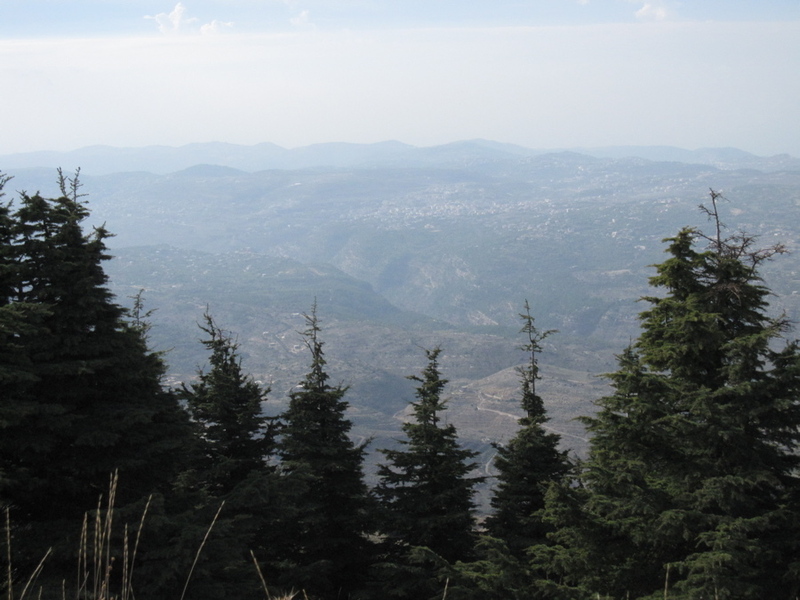 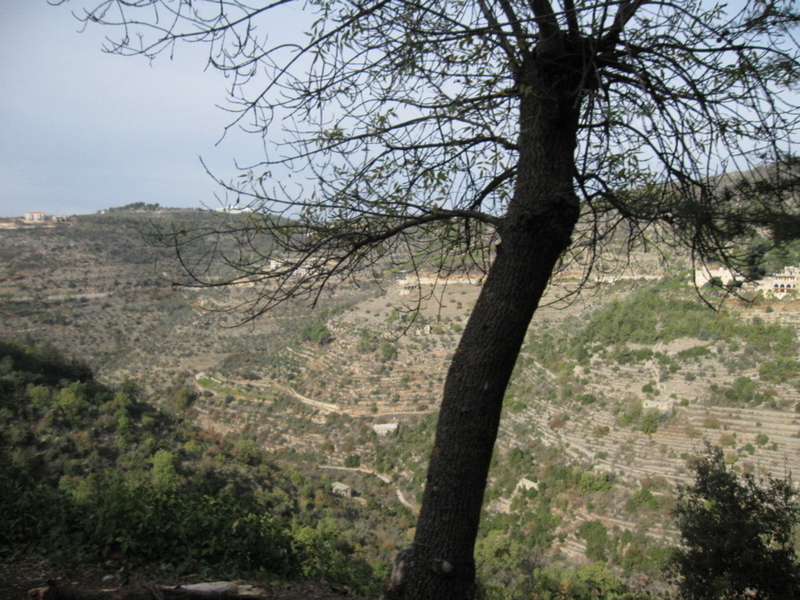 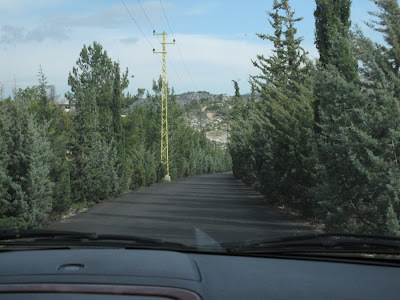 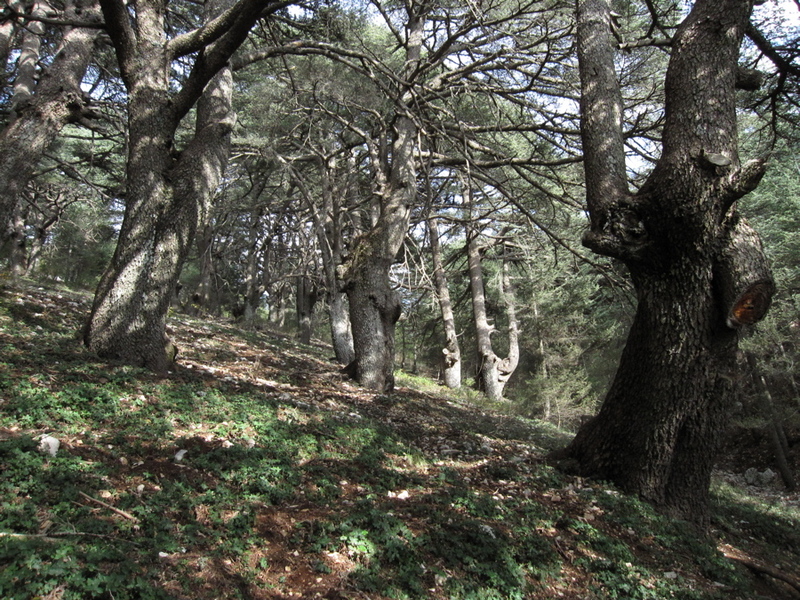 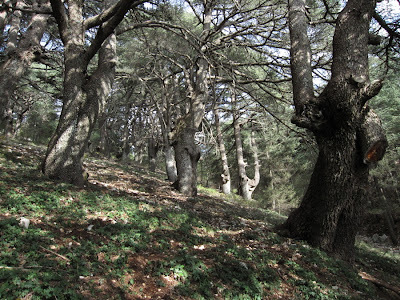 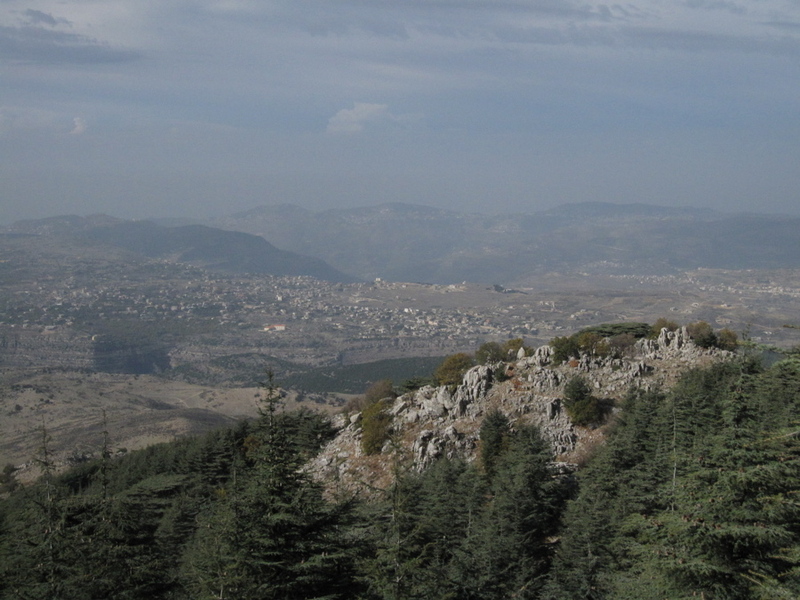 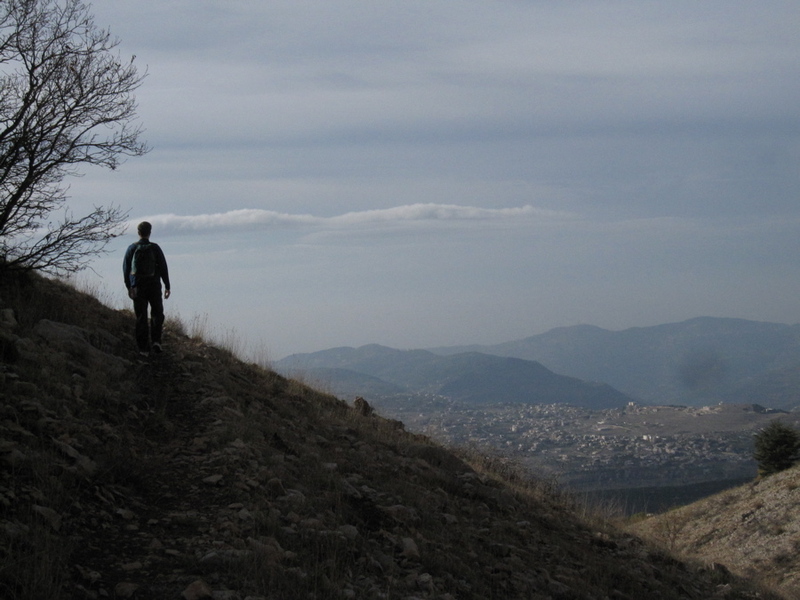 Therefore, I booked us a trip to the Shouf Cedar Reserve during our free day in Lebanon. 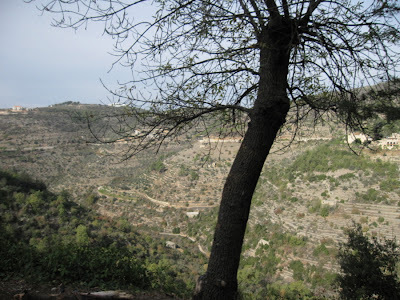 The landscape along the way was spectacular, full of vegetable farms, terraced hills, olive trees and juniper-lined roads. 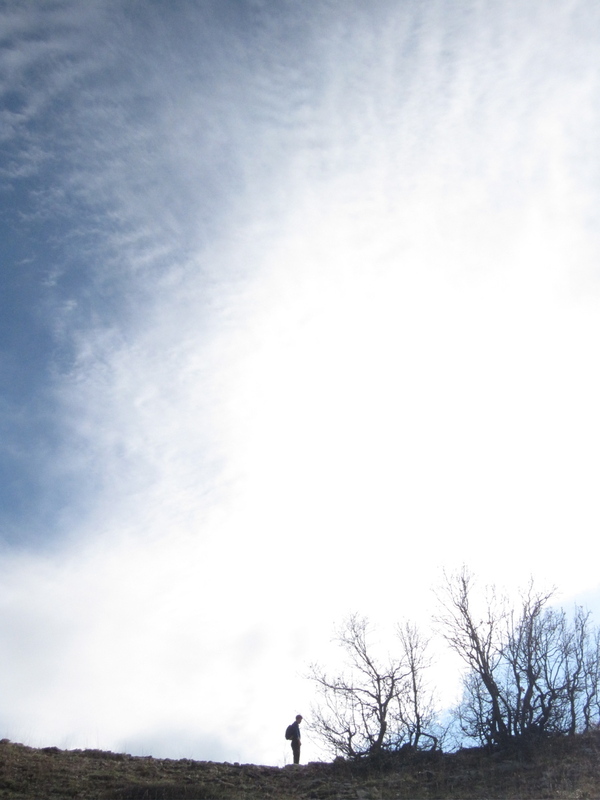 The air was fresh and chilly at the Cedar Reserve, 2500 m. above sea level. We went for a nice long hike, up and down lots of hills. 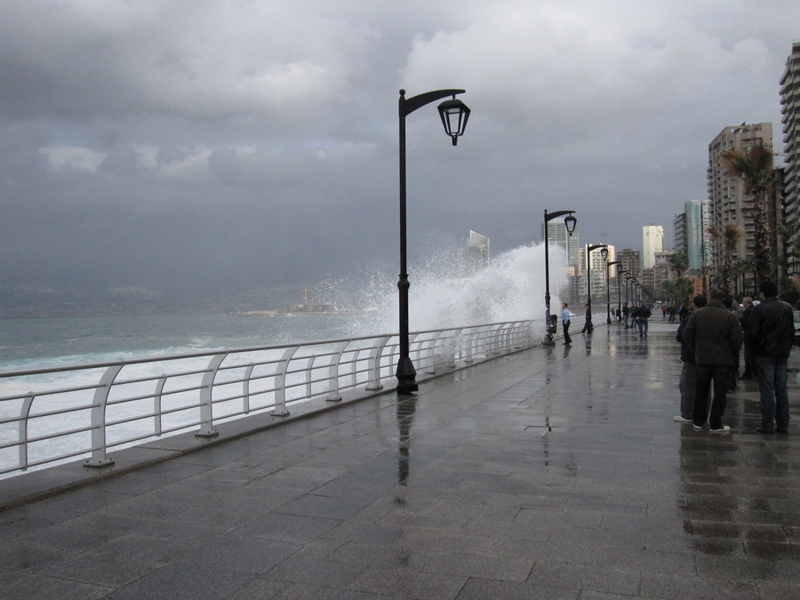 Our leg muscles seemed to remember how to do that. 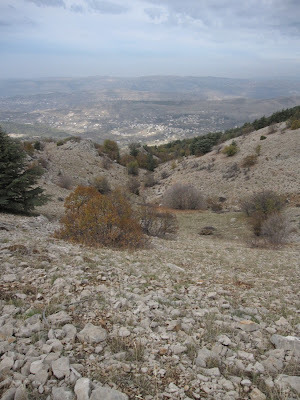 The landscape was unlike any I'd ever walked: a combination of rugged rock and rich, muddy earth, rolling away toward the sea in a Biblical sweep. 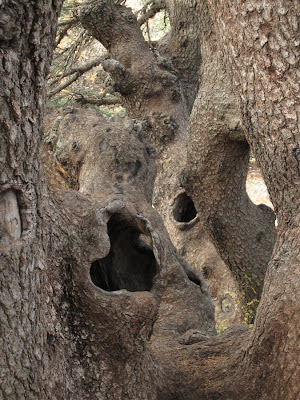 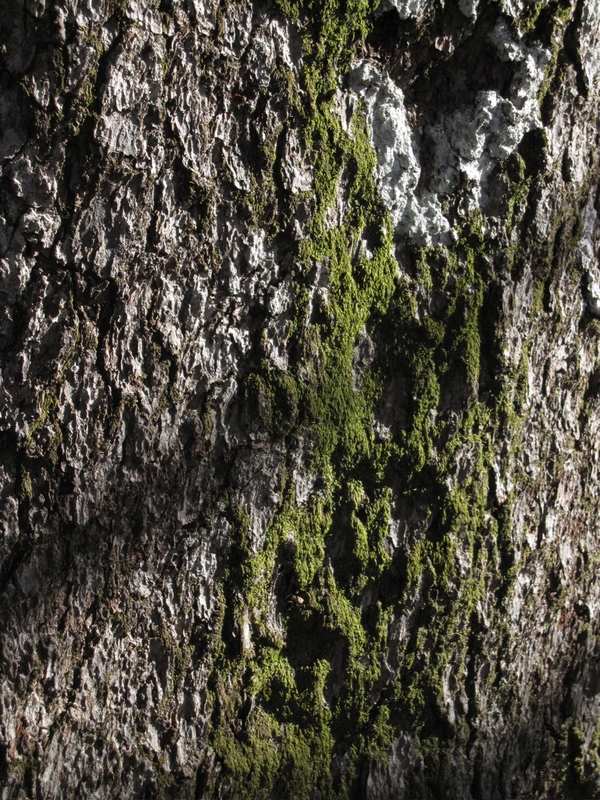 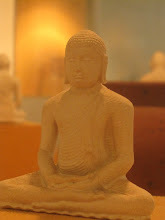 We've encountered holy cedar trees in vastly different parts of the world: Redwoods in California fog, Sugi on the island of Yakishima in Japan, Shukpa in the high altitidues of Ladakh, India - all ancient and evocative. 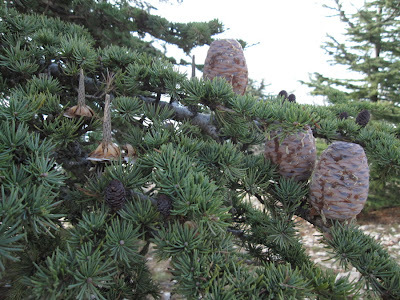 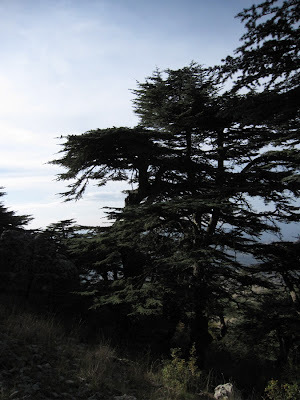 Wherever the cedar grows, it is revered by the local people and recognized as a venerable presence. 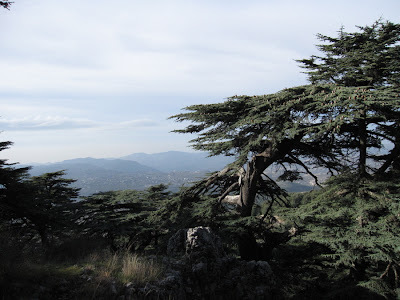 I've seen the tree in the middle of the Lebanese flag the whole time we've lived over here, but never before knew it was a cedar. 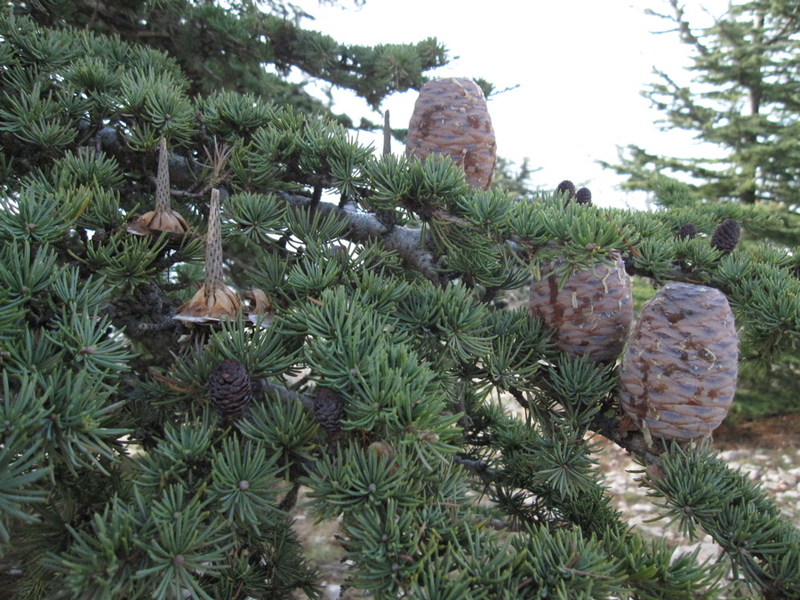 Right in here, the air was full of cedar aroma. 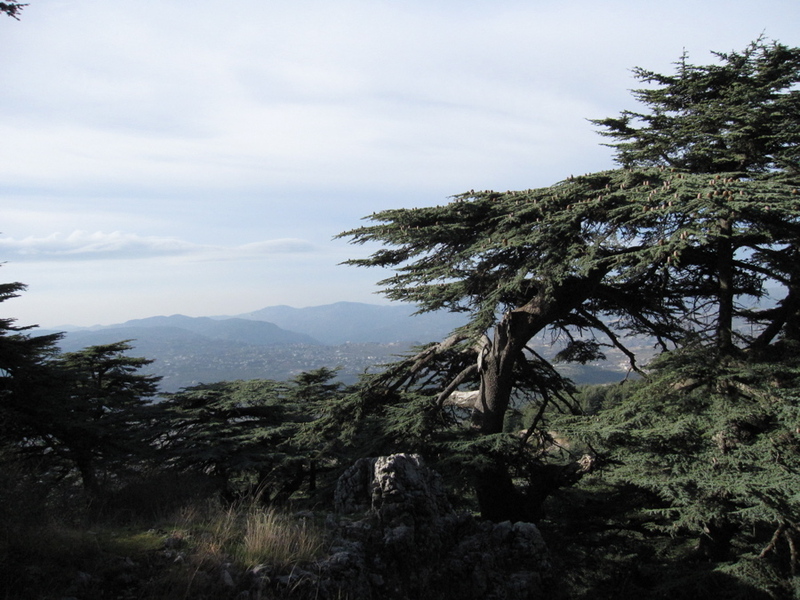 The Lebanese cedars have a dramatic profile, holding out their branches like uplifted palms of hands. Was this enough communing with nature? 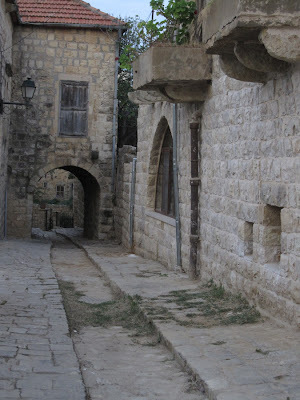 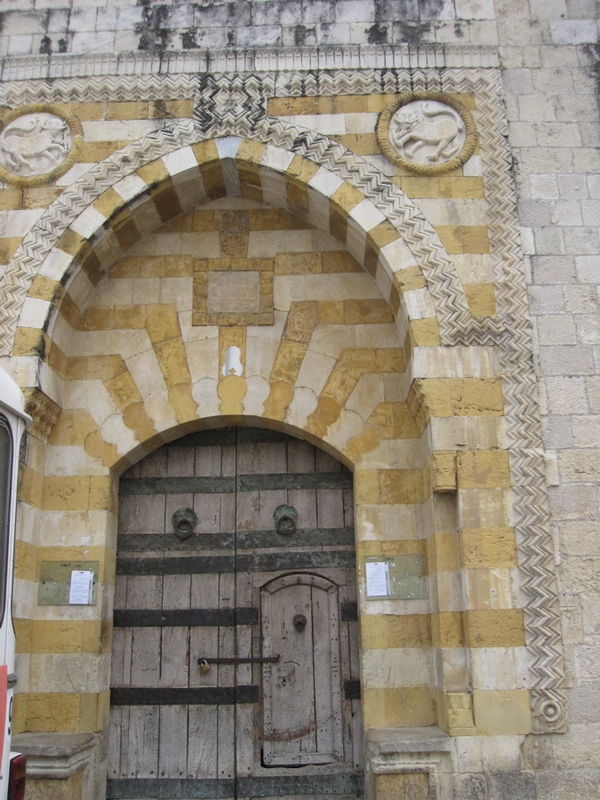 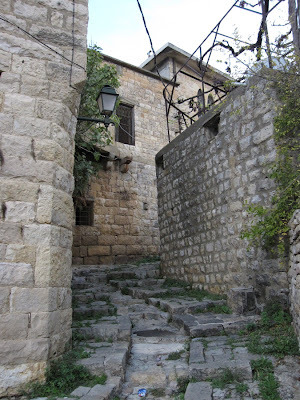 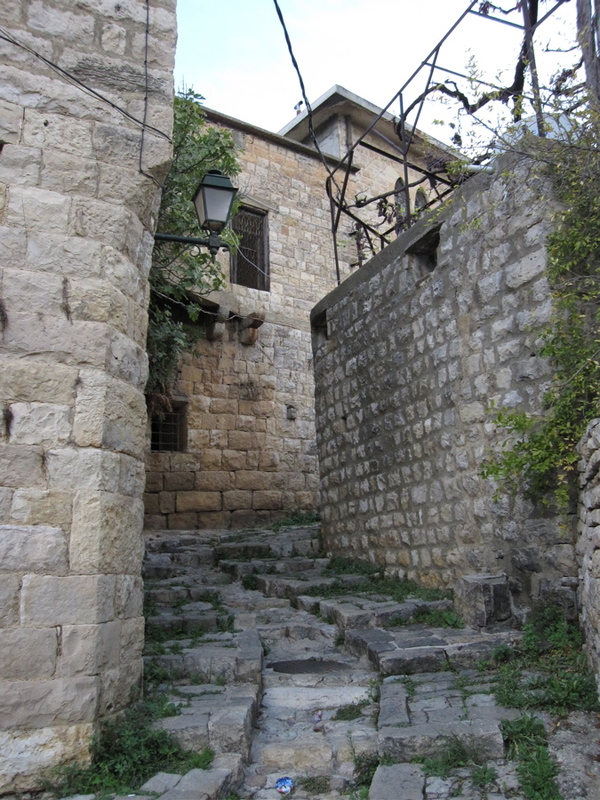 We stopped in Deir-al-Qamar, an old, spring-fed mountain town with architecture from centuries past. We were immediatly plied with delicacies from this man's trunk. 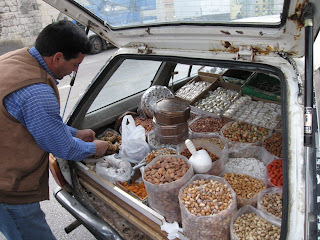 He fed us enough almonds, figs, and nougat sweets to fill us completely in lieu of lunch, and we bought some to bring home. 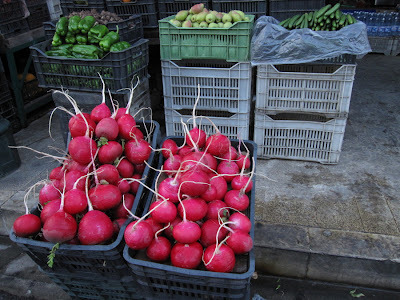 The produce in Lebanon was almost painfully beautiful and fresh. 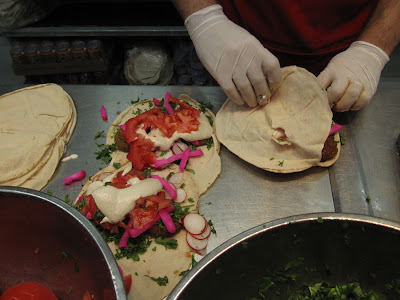 In Doha, we get most of our produce from Lebanon, so I knew it was a bounteous place. 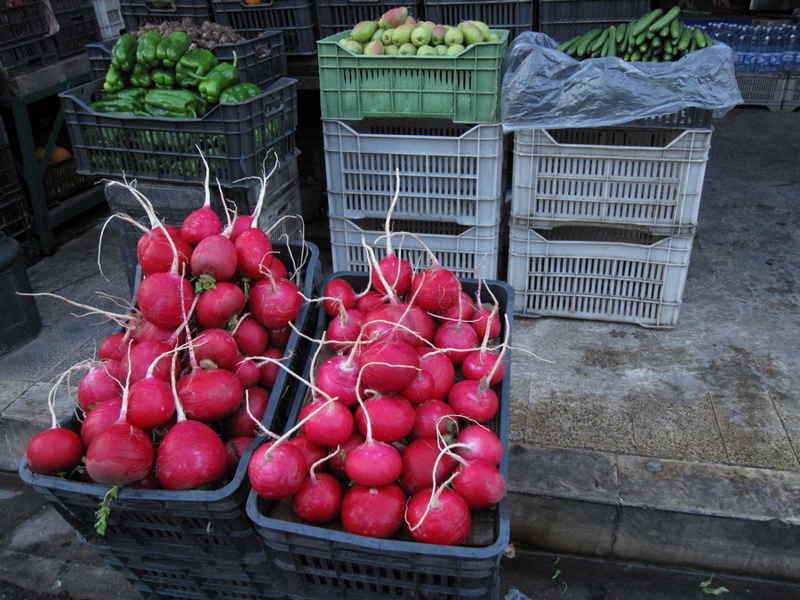 Still, I was awestruck by the sight of streetside vegetable shops and their impressive wares. 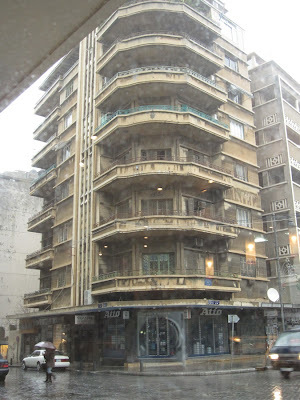 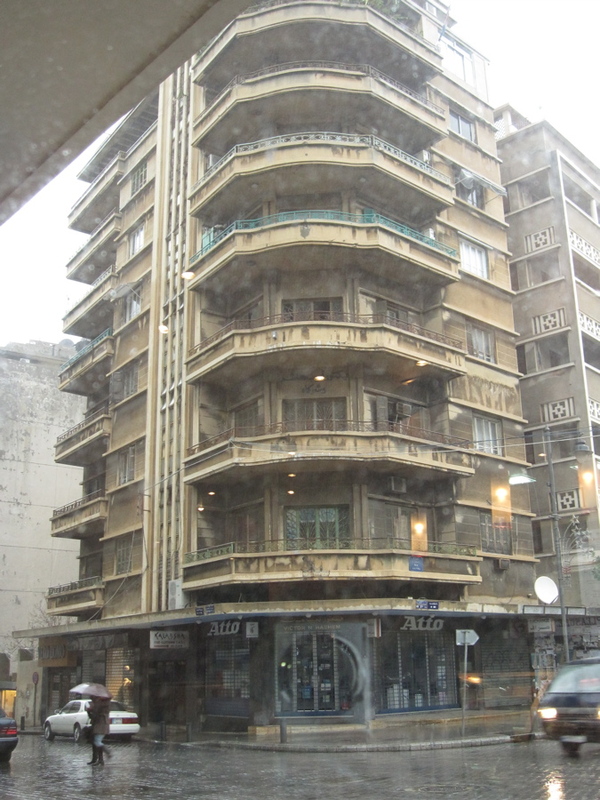 Back in Beirut, I was taken to the "best falafel in town" (quotes included to acknowledge subjectivity of such a statement,) and my currently local friend Laurel and I walked the Corniche and watched monster waves breaking up and over the sea wall, on a monumentally stormy day.